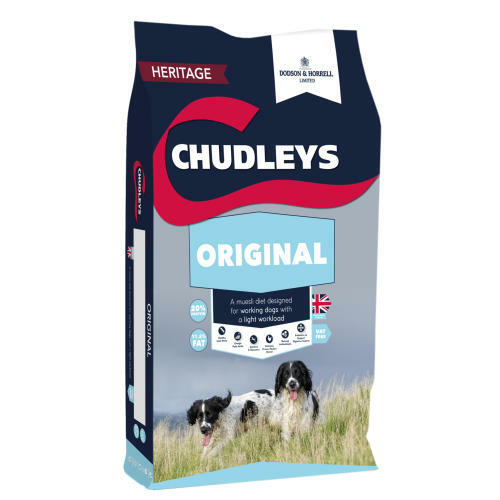 Chudleys Original Working Dog Food is a classic recipe for dogs that are in light work or through the summer months when they are able to maintain their weight easily. This popular brand supports energy levels, stamina, speedy recovery and overall health. The muesli is rich in chicken with vegetables making it suitable for fussy eaters.